This is Sean’s journal entry No. 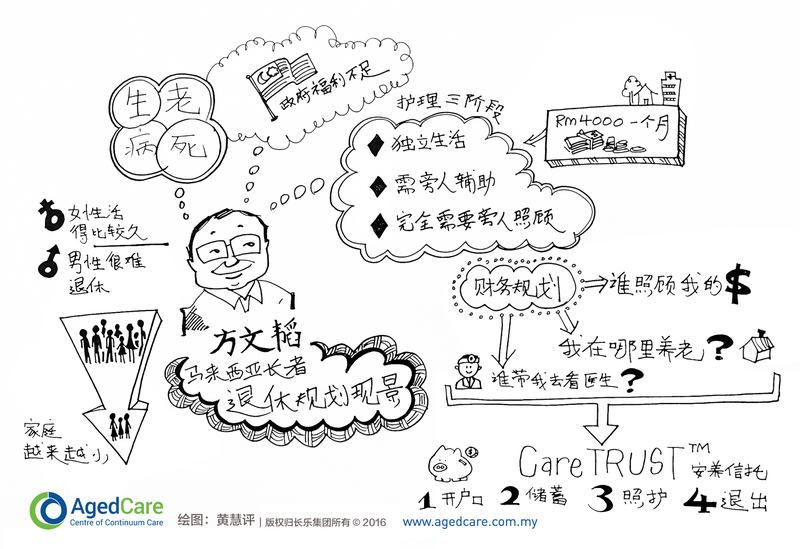 2: the previous deliberations regarding being financially secure to pay the cost of healthcare leads me to the second part of the aged care conundrum in Malaysia: The delivery of service. In his commentary of property trends in Malaysia (Oct 13, 2015), UOA Asset Management’s CEO, Kong Sze Choon, stated that more than just nursing homes, aged care also refers to adequate housing, healthcare and medical services, community and leisure facilities that meet the needs of the elderly. The challenge is in providing world-class medical and healthcare for the elderly. Simply put, a binding agent for a refined service delivery system is one that is capable of consolidating and delivering the necessary facilities, technology and services to assist in connecting the elderly, and, by extension, people with disabilities, with the services they need. 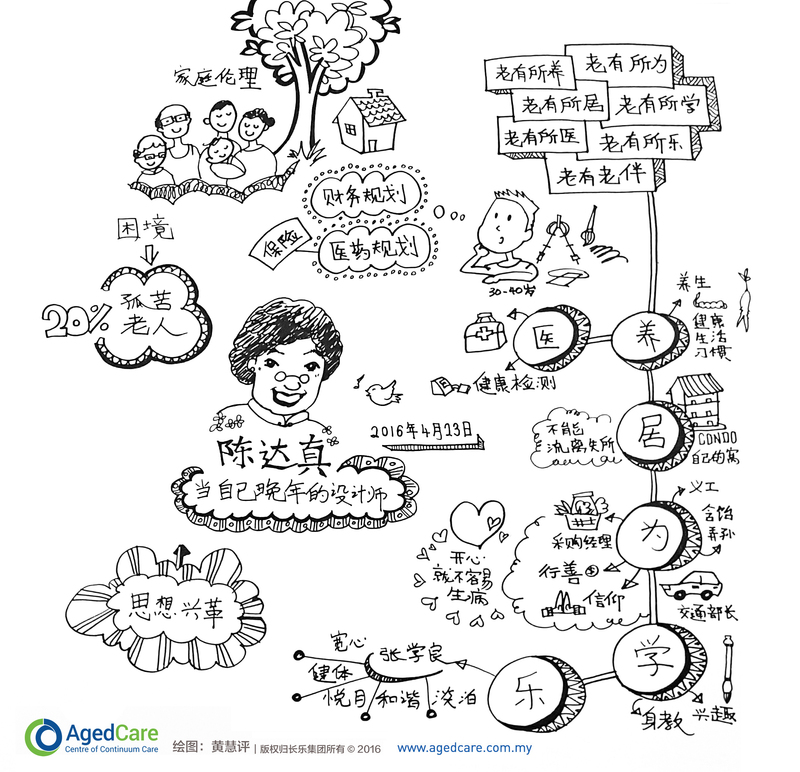 So, what does an innovative service delivery in aged care look like? According to The World Health Organisation (November 2014 survey), a well-functioning health system has a network of service delivery that possesses six attributes that characterises it as innovative. These attributes are: Comprehensiveness, accessibility, continuity, people-centredness, co-ordination, and accountability & efficiency. Together they form a coherent approach that acts as the driving principle for the health care delivery system. Bearing these factors in mind, a service delivery network which functions on the aforementioned six attributes is particularly critical to prevent and manage functional and cognitive decline – further aggravated by the aforementioned challenges in Malaysia’s case – which older populations are increasingly experiencing as they live longer. Furthermore, it also encourages a lifestyle that would naturalise ageing-in-place, thereby reducing the physical and financial challenges inherent in long-term hospitalisation. Just as the likes of Uber, AirBnB and Kaodim have revolutionised the model of their respective industries’ service delivery, aged care too requires a similar remodelling. The age of individual sectors in Malaysia – providing their respective services in isolation – will not be sustainable to keep up with the impending “silver” tsunami. A new formula of comprehensivity of services and information is unquestionably necessary to meet the evolving demand of care needs that even now rolls in with the first waves of the ageing phenomenon. Rod Young from Australia’s Aged Care Industry IT Council stated that healthcare providers should recognise that good clinical care, good management and good data are essential to the performance of their organisation (ICT in Aged Care, Oct 26, 2015). By “Uberising” the service delivery network’s platform, the nature of accessibility to care services is transformed and new avenues of cost-saving solutions are made possible as information on technology, products and services – along with transparency of pricing – is made more easily available. Consumers would be able to find and rely on new solutions – such as ageing-in-place technology, home care and multi-generational housing – for their care needs that adapt to their lifestyle instead of standard options that are typically cost-heavy and restrictive in allowing independence. Glenn Payne, CIO of Feros Care in Australia, predicted that self-directed care would be the next big innovation in the aged care business with clients being able to pick who they want from a provider that connects everyone (Adopting ICT in Aged Care, Aug 31, 2015). Ageing-in-place options would be especially attractive as services such as telehealth – a collection of means or methods using telecommunication to deliver virtual medical, health, and education services – would make it a viable alternative. The elderly could retain constant communication with their doctors for monitoring and follow-ups via telehealth devices while in the comfort of their own home, negating the extra cost incurred by hospital stays and travelling. Considering the cycle of retirement, inevitably as people move from an active retirement lifestyle to their final phase of life, the service delivery network needs to follow the elderly’s transition into each phase, smoothly integrating various resources in a seamless and continuous flow. From independent living to assisted living, and finally dependent living, the network must be able to act as a central hub that is not only capable of providing continuous care for each stage, but also enable the elderly to find sustainable options and resources to continue having access to care, mitigating obstacles arising from the depletion of funds. The World Economic Forum stated that many baby boomers don’t like what they see when they come into contact with the aged care system, be it from personal experience or assisting their own parents, and they want improvements. They want better food in residential aged care, aged-friendly communities and pathways to be built or maintained so they can continue to walk safely in their communities (Why Aged Care Needs an Uber Moment, Nov 19, 2015). Essentially, the service delivery network must be people-centred in its approach and structure, creating or packaging services that people want to use and have access to, that provides support to ultimately enable consumers – the elderly and individuals with disabilities – to remain independent. People should feel dignified by using these services, not ashamed for needing them. It has to build a life-affirming culture that empowers people, encourages social engagement, and brings generations together. Elaborating on Rod Young’s earlier statement, co-ordination is the fifth attribute, and it characterises an innovative service delivery network. As the central hub, the network plays a key role of co-ordinating the flow of information between organisations. By connecting a person’s points of care to a central hub, service providers will able to define and administer more appropriate solutions by accessing the same data and level of detail concerning the client’s medical condition (IT and E Strategy and Action Plan, July 2014). This is where information and communication technologies (ICT), such as telehealth, would be essential to assist in spinning the co-ordination cogwheel. With the growing access to fast broadband connections, video and monitoring technologies are expected to create greater engagement between healthcare providers and clients themselves in a variety of settings, including their own homes. As a binding agent that consolidates healthcare resources, accountability and efficiency is the final essential attribute needed in establishing best practice strategies when matching clients with the relevant service providers – pre-screened to ensure quality standards are met – and appropriately centralising records. This is to optimise the best use of financial resources, maximise medical information accuracy and avoid duplication, and lift overall productivity. This would provide further cost savings for the client and increase the providers’ efficiency in meeting their needs. Hence, the elderly or disabled person can avoid situations that incur unnecessary spending such as undergoing several consultations with different doctors before meeting the one suitable for their care needs. There is still a long way to go before Malaysia’s aged care service delivery network is a smoothly running engine, but there are significant opportunities. When innovative products and services are produced and assimilated into the network, the potential of improved engagement between service providers, clients and families will open up pathways to exponential growth in business and quality of life for consumers.